Of course, with the news that I was off to Festival Number 6 came the excitement of turning myself in to the typical festival archetype and I raided my wardrobe for things that screamed out "festival fashion". With my floral crown, spotty wellies and denim overload, I think it's safe to say I was successful. This was actually my first endeavour in to that ever-so-risky 90s come-back trend of double denim, but I decided that if there was one place that I was going to be able to pull it off, a festival was it, and with Diesel's reputation for throwing amazing parties and their festival fever (they worked on some awesome campaigns in the run-up to Festival Number 6- you can read about their FN6 capsule collection launch party here), I felt I couldn't go wrong with this over-sized denim shirt. Of course, I also had to pick up a t-shirt from the Festival Number 6 merch desk to take home with me so that I can reminisce over the amazing weekend for years to come! Double Denim? Yay or nay? 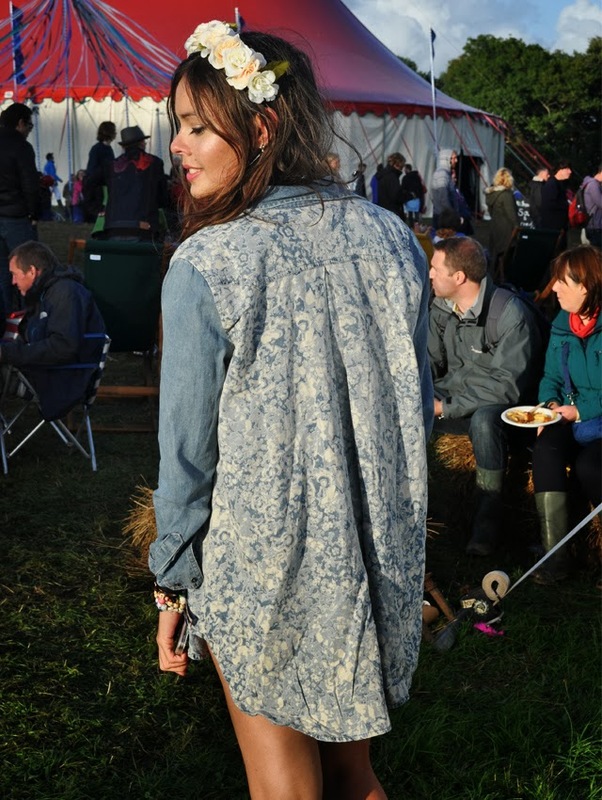 You can't go wrong rocking a bit of double denim! I love this festive look! Somehow, floral crowns always seem to scream festival to me! You look gorge. this denim shirt is amazing!! Im still looking for the perfect one!!! Behind-The-Scenes @ Fashion Union Lookbook Shoot.